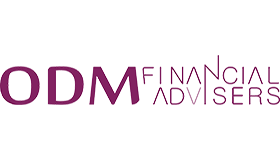 ODM Financial Advisers is one of the premier independent financial advisory firm in its region. Regulated by The Central Bank of Ireland, ODM Financial Advisers has been serving clients throughout Cork since 2006. The firm’s investment philosophy is derived from an emphasis on an objective complete review of a client’s overall financial situation, the investment options available to them and a strong desire to better their clients’ financial interests. 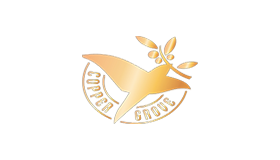 Since inception, the firm has been shortlisted for Best Broker at the regional industry awards in both 2014 and 2015 and have gained a reputation among peers for their high client retention. Bord Gáis Energy has been in operation since 1976 and today we supply over 750,000 gas and electricity customers in Ireland making us one of the biggest energy providers in Ireland. Since mid-2014 we are also part of the global Centrica plc Group. Centrica is active in the energy chain ? from sourcing it to saving it ? and this helps us operate more efficiently. Bord Gáis Energy generates, sells and trades energy for use in Ireland. We own a state of the art 445MW Power Generation Plant in Whitegate, Co. Cork. We flipped the switch on that plant in 2009 and can power up to 400,000 homes. We also have an Energy Trading Team in Cork trading gas and electricity on the international wholesale markets to balance our supply versus our demand every day of the year. Our main locations in Ireland are in Dublin and Cork but you’re probably more familiar with our sponsorship programmes and boiler services engineers who are out and about visiting homes, businesses and communities. 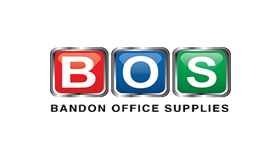 A proud sponsor of Bandon Cycling, BOS has been the main supplier of stationery, office furniture and printing services in West Cork for over 40 years, currently having four main divisions in two Bandon Locations. Recently relocated on the By-Pass, the Bandon Office Supplies Shop features the biggest variety of stationery, office and school supplies in the area, also providing a great selection of arts and crafts supplies. The Furniture division specializes in end to end office solutions as well as school furniture. Located in IDA Industrial Estate, Laragh – Bandon Print and Sign does exactly what the name says. ThePrint division can produce a wide variety of prints on an even wider variety of materials and sizes, from the smallest of labels through business cards and posters to full books and catalogues. Your signage of all types, from simple road signs to big size posters, flags and banners will be fast and efficiently produced by the Signs division. Bandon Office Supplies group wishes all Bandon Cycling Club members the best of luck in their events and competitions. Copper Grove is a modern Irish bar and restaurant happy to present you with good food coupled with a wide range of drink that is synonymous to Ireland. Based in Bandon Co. Cork, our bar and restaurant serves food daily, including breakfast, lunch and dinner, making us the perfect location to stop for food if you are passing through the gateway to West Cork. We have two function rooms that can cater for pretty much any occasion and for parties of up to 150 guests. We also have 9 bedrooms that range in size from single rooms to family rooms. We show all of the major sports live on our three televisions and you can also enjoy live Music at Copper Grove most Weekends.